One of the most striking palios in Tuscan history is the marine one held at Porto Santo Stefano, chief town of the Monte Argentario peninsula. 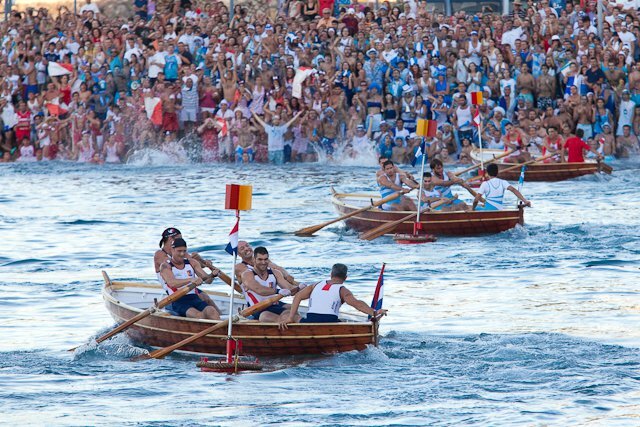 The Palio dell’Argentario is always held on August 15th and sees the four quarters of town competing in a rowing regatta, while their townsmen cheering them on with great enthusiasm in a very merry atmosphere. The boats are the typical Italian fishing gozzos and each bears the name of a wind: Maestrale (Mistral), Grecale (Gregale), Libeccio (Leveche) and Scirocco (Sirocco). The four quarters instead are Croce (Cross), Fortezza (Fortress), Pilarella and Valle (Valley). The crew consists of 4 rowers and a helmsman. The teams compete along a 4,000 metre route divided into four lanes bounded by buoys, going five times towards open sea and four times towards land. For this reason it is considered one of the longest rowing races in the world. Historically the Palio goes back to State of the Presidi, between 1664 and 1667, when Porto Santo Stefano and Porto Ercole were a small state together with Orbetello, Talamone and Ansedonia. Only in August 1937 was the first regulation of the race drawn up. 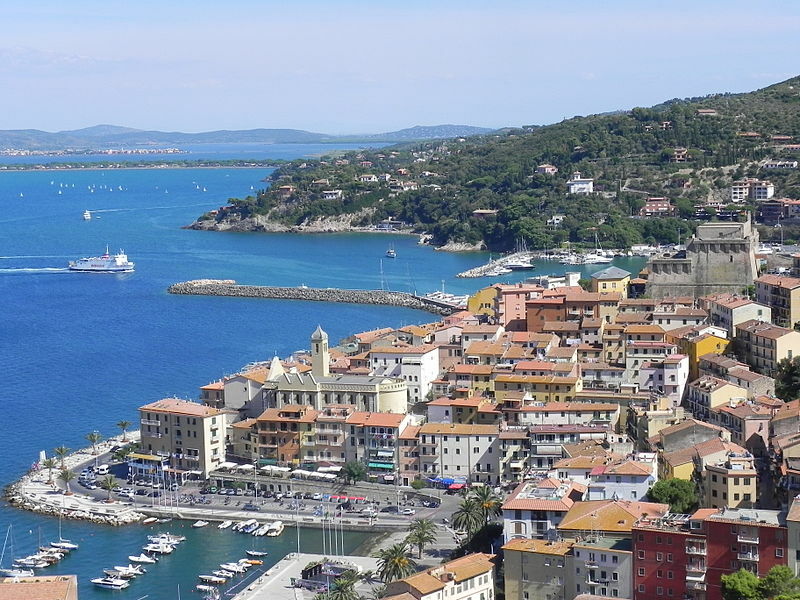 Except during the second world war, from 1940 to 1944, the Palio has always been held in the stretch of sea in front of the old port of Porto Santa Stefano, also known as the Turquoise Stadium. 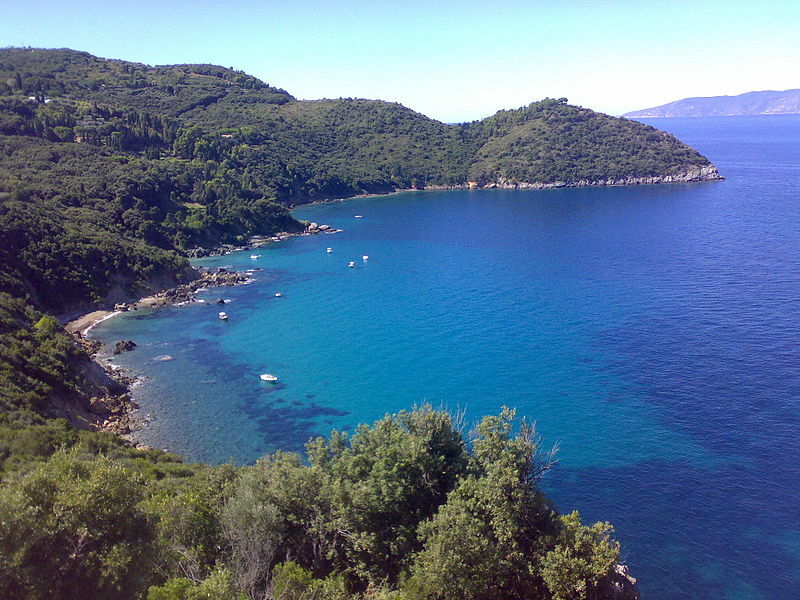 And turquoise can be the definition of this entire peninsula, from its two lagoons to the Tyrrhenian sea surrounding it. 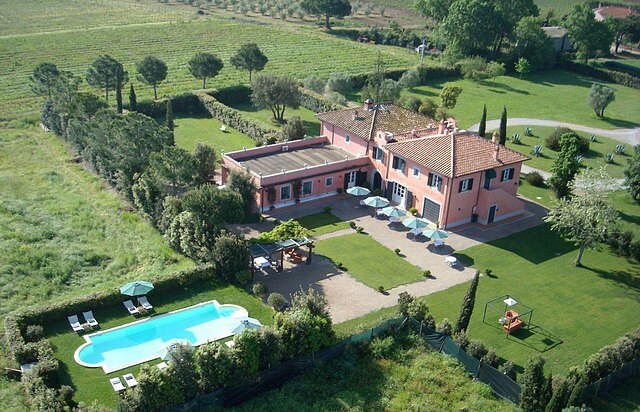 Certainly a magnificent place to spend one’s holidays, maybe in this extraordinary villa with swimming pool in Orbetello. Questa voce è stata pubblicata in Accommodations in Maremma, Argentario, Culture and accommodations in Tuscany, Events in Maremma, Folklore in Tuscany, Tuscan Coast, Tuscany e contrassegnata con Monte Argentario, Orbetello, Palio dell’Argentario, Porto Santo Stefano. Contrassegna il permalink.